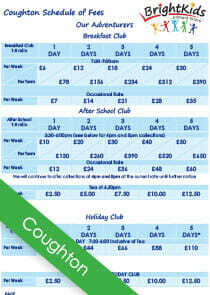 We offer flexible care for Breakfast & After School Clubs. 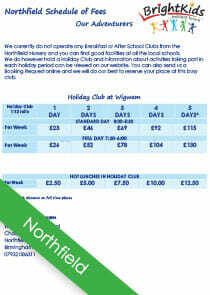 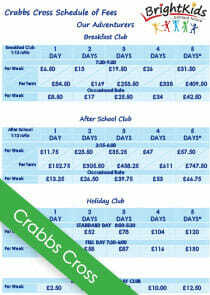 You can book our Holiday Clubs separately. 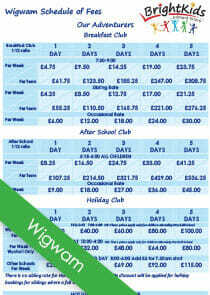 We collect all Fees monthly in advance. 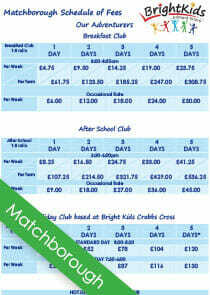 You click your choice of Club in to open the Schedule of Fees.